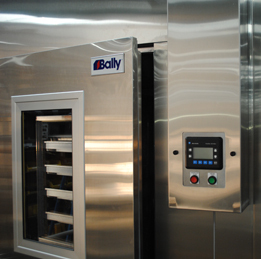 Bally's Northwind Blast Chillers chill food quickly and safely without freezing to help keep you out of the danger of violating stringent food safety requirements. 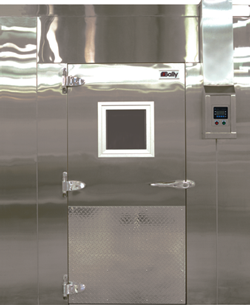 During cooling, the worst danger of contamination occurs as foods drop in temperature from 140ºF to 41ºF aptly called the “Danger Zone”. 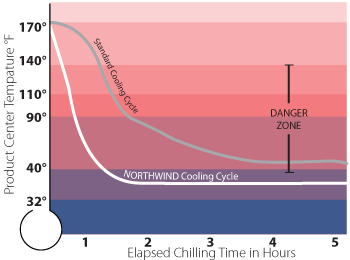 Under HAACP (The Hazard Analysis Critical Control Point) regulations, potentially hazardous foods may not remain in this "Danger Zone" for more than four hours; a Northwind Blast Chiller cools food in two hours or less. A Northwind Probe and Monitoring System keeps allows you to control and verify your food cooling practices as required under HACCP. Our standard monitoring package uses a probe for accurate tracking of internal temperatures, while giving continuous digital temperature readouts. Where kitchen space is at a premium the Northwind 500 offers the outstanding advantages of Bally chilling technology in a space-saving compact unit. 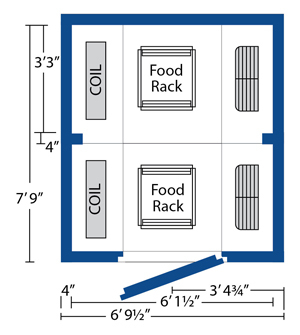 Load: 20 pans12" x 20" x 2½"
Dimensions: 6'9½" x 3'11" x 8'2"
Our workhorse unit provides the chilling volume required for heavy-duty institutional or commercial foodservice applications. 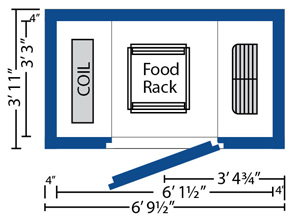 Load: 40 pans 12" x 20" x 2½"
Dimensions: 6'9½" x 7'9" x 8'2"
and meets your compliance requirements.